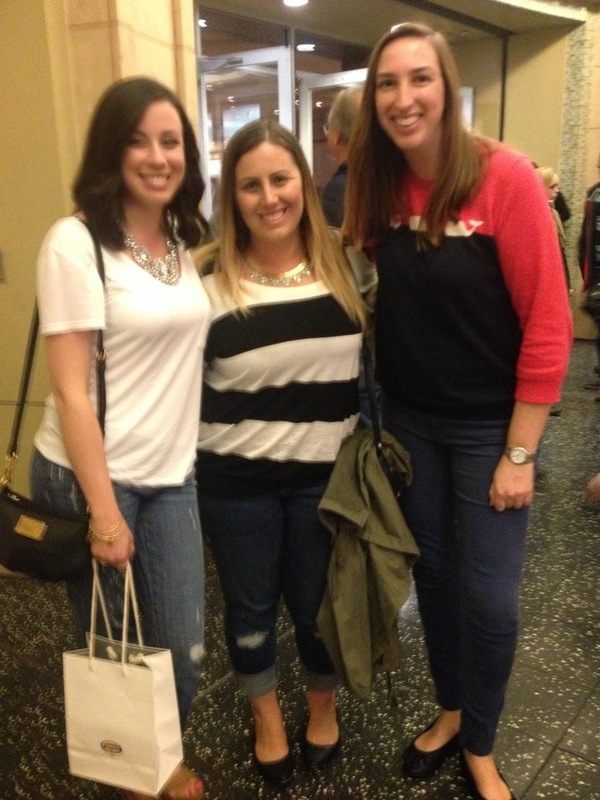 Last Saturday night Leeann and I went to our THIRD Vampire Diaries PaleyFest together! It is actually how we first met. I had an extra ticket way back in 2010. Another blog friend, Angela, told me that Leeann was also a fan of the show so I emailed Leeann and the rest is history! Leeann and I celebrated our 4 year blog friendship anniversary with The Vampire Diaries PaleyFest, seeing Divergent, and then a blogger brunch Sunday morning (recap here). I decided just to bring my iphone and skip the fancy camera but I think next year I'll go back to the real camera. We also met Brianna and her friend for dinner before the panel. It turns out their seats were in the row behind us! Joseph Morgan/Klaus is my favorite. From the moment I saw him on TVD I was hooked. I miss him in Mystic Falls but I am happy he has his own show now! After the panel we went to the 10 PM showing of Divergent. Leeann let me borrow her books and I am obsessed! I highly recommend the books and the movie. I am already counting down the days until the next movie! Theo James/Four: SWOON. Did anyone else read the books or see the movie?